Kick off your visit on the 16th (Tue): examine the collection at Ripley's Believe It Or Not! Surfers Paradise. To find ratings, traveler tips, other places to visit, and more tourist information, read Gold Coast day trip planning website . Brisbane to Gold Coast is an approximately 1-hour car ride. You can also take a bus; or take a train. In July, plan for daily highs up to 24°C, and evening lows to 11°C. Finish your sightseeing early on the 18th (Thu) to allow enough time to travel to Whitsunday Island. Start off your visit on the 19th (Fri): step off the mainland to explore Whitsunday Islands National Park and then kick back and relax at Whitehaven Beach. For maps, reviews, traveler tips, and tourist information, you can read our Whitsunday Island trip itinerary maker website . The Route module can help you plan travel from Gold Coast to Whitsunday Island. Expect a bit warmer weather when traveling from Gold Coast in July: highs in Whitsunday Island hover around 28°C, while lows dip to 13°C. Finish your sightseeing early on the 19th (Fri) so you can travel to Hamilton Island. Kick off your visit on the 20th (Sat): get outside with Jetryder, then view the masterpieces at Hamilton Island Art Gallery, then enjoy the sand and surf at Catseye Beach, and finally relax and rejuvenate at some of the top local wellness centers. To see more things to do, reviews, where to stay, and more tourist information, you can read our Hamilton Island online driving holiday planner . Explore your travel options from Whitsunday Island to Hamilton Island with the Route module. Expect somewhat warmer evenings in Hamilton Island when traveling from Whitsunday Island in July, with lows around 21°C. Finish your sightseeing early on the 21st (Sun) so you can travel to Sydney. Get outdoors at Dolphin & Whale Watching and Bondi to Coogee Beach Coastal Walk. Your cultural itinerary includes sights like The Rocks and Australian National Maritime Museum. 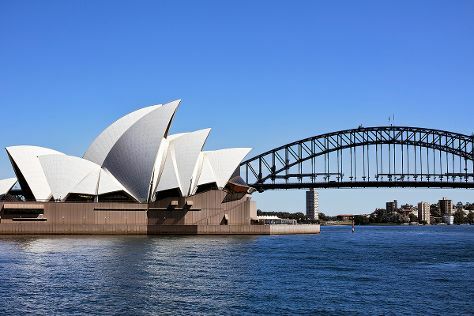 There's much more to do: see a show at Sydney Opera House, steep yourself in history at Museum of Sydney, trek along The Opera House to the Botanic Gardens Walk, and explore the world behind art at Art Gallery of New South Wales. For where to stay, ratings, and more tourist information, you can read our Sydney road trip planning app . You can fly from Hamilton Island to Sydney in 4 hours. Other options are to do a combination of ferry, bus, and train; or do a combination of ferry, car, and bus. Expect slightly colder temperatures when traveling from Hamilton Island in July; daily highs in Sydney reach 21°C and lows reach 9°C. Finish your sightseeing early on the 24th (Wed) to allow enough time to drive to Canberra. Popular historic sites such as Greek Orthodox Church of St Nicholas and Canberra Rotary Peace Bell are in your itinerary. 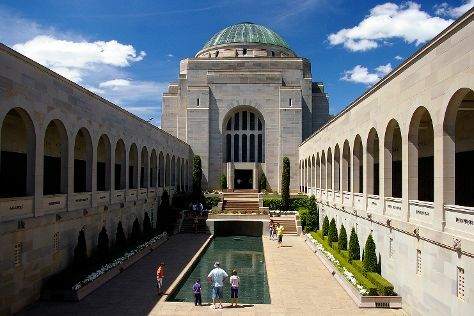 Satisfy your inner culture vulture at Australian War Memorial and National Gallery of Australia. The adventure continues: identify plant and animal life at Mulligans Flat Woodland Sanctuary, explore the striking landscape of Australian National Botanic Gardens, engage your brain at Questacon, and contemplate the waterfront views at Lake Burley Griffin. To find maps, photos, reviews, and more tourist information, you can read our Canberra trip planner . Traveling by car from Sydney to Canberra takes 3.5 hours. Alternatively, you can fly; or take a bus. Expect slightly colder temperatures when traveling from Sydney in July; daily highs in Canberra reach 13°C and lows reach 0°C. Wrap up your sightseeing on the 27th (Sat) to allow time to travel to Melbourne. You'll explore and learn at Melbourne Museum and National Gallery of Victoria. 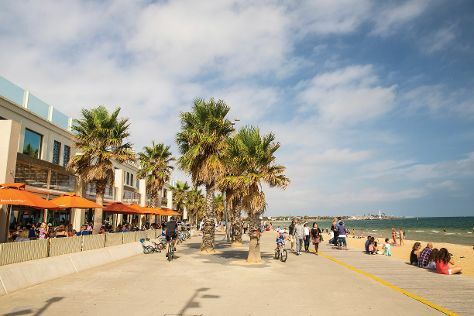 Visiting Nature & Wildlife Tours and St. Kilda Beach will get you outdoors. There's still lots to do: learn about all things military at Shrine of Remembrance, meet the residents at Melbourne Zoo, savor the flavors at Food & Drink, and enjoy breathtaking views from Eureka Skydeck 88. For photos, ratings, more things to do, and tourist information, use the Melbourne route planning site . You can fly from Canberra to Melbourne in 3.5 hours. Other options are to drive; or take a bus. Traveling from Canberra in July, expect a bit warmer with lows of 6°C in Melbourne. Wrap up your sightseeing on the 30th (Tue) early enough to travel to Esperance. Esperance is a town in the Goldfields-Esperance region of Western Australia, on the Southern Ocean coastline approximately 720km east-southeast of the state capital, Perth. 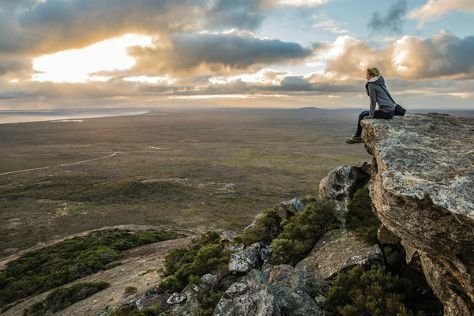 Start off your visit on the 31st (Wed): tour the pleasant surroundings at Cape Le Grand National Park. On the 1st (Thu), you'll have a packed day of sightseeing: enjoy the sand and surf at Twilight Bay, steep yourself in history at Esperance Stonehenge, then see the interesting displays at Esperance Museum, then don't miss a visit to Esperance Whale Tail, and finally view the masterpieces at Cindy Poole Glass Gallery. To find traveler tips, more things to do, ratings, and other tourist information, go to the Esperance trip planner . Fly from Melbourne to Esperance in 8.5 hours. Alternatively, you can do a combination of flight and car; or drive. You'll gain 2 hours traveling from Melbourne to Esperance due to the time zone difference. Expect a daytime high around 18°C in July, and nighttime lows around 8°C. Finish your sightseeing early on the 1st (Thu) to allow enough time to travel back home.